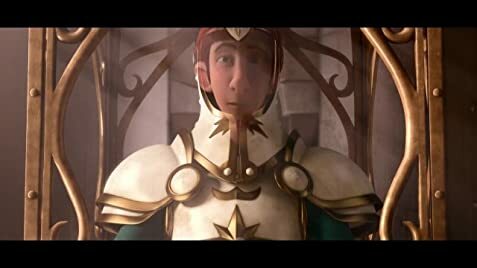 A young boy becomes a man as he embarks on a quest to become a knight. Enter ShockYa’s Twitter Giveaway for a Chance to win Justin and the Knights of Valour Blu-ray! I mean, the animation is not top AAA class but it doesn't look like puppet dancing either. Character animation was okey, their texture was also good for kids i guess. But the magician was i guess was too much animated. I mean, he looked like came from some Arabian nights movies. Scripts was not witty. Voice was sometimes terrible. But when you really want to watch it with open mind and put all AAA class movies aside from mind like Disney makes, you'd rather enjoy it ! 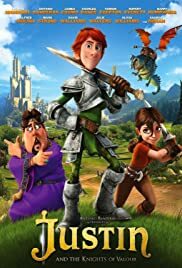 Disney, pixer or Dreamworks put a lot of money into production and i was rather surprised to see they made it out of so little money ! And it was not a How to train your dragon rip of either, both are totally different. The story is predictable though.